FOSC is the only international orthopaedics conference aimed solely at medical students and junior doctors. 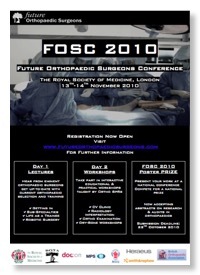 FOSC 2010 will build on the success of last year's conference with a two-day event this year. Day 1 consists of lectures from eminent orthopaedic surgeons covering all orthopaedic sub-specialties and giving delegates an insiders view of what life is like as an orthopaedic surgeon. 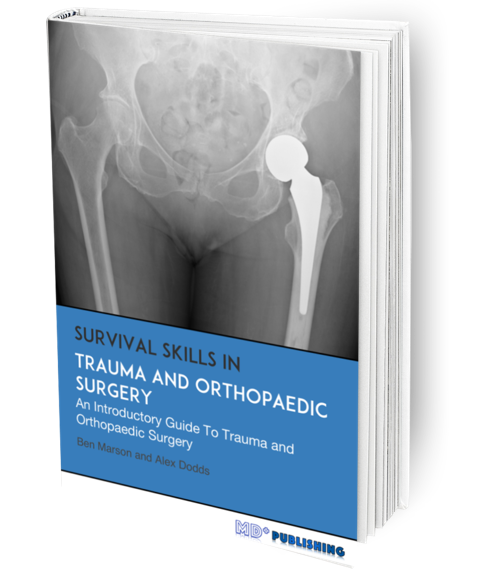 FOS are pleased to again be teaming up with the RSM together with BOA and BOTA to provide delegates with accurate and up-to-date information on orthopaedic training and applications. Day 1 concludes with a talk on the future of orthopaedic surgery given by Professor Justin Cobb, founder of the Acrobot surgical robot. Day 2 consists of interactive practical and educational workshops designed to give delegates a feel for what orthopaedic surgery entails together with improving their knowledge and surgical skills.